Previously we mentioned Foxmarks that works as Firefox add-on to synchronize and backup bookmarks and passwords across multiple computers. There is another ultimate syncs and backup service that I would like to recommend here named as Dropbox. Unlike Foxmarks, Dropbox doesn’t requires any specific web browser to be installed on your computer. What it requires is just to install Dropbox client on each of your computer, so that it will be able to synchronize all the data kept in Dropbox folder to Dropbox’s server and any other computers that are linked to your Dropbox account. In order to synchronize the data across multiple computers, you must get Dropbox client install on all of your computers. 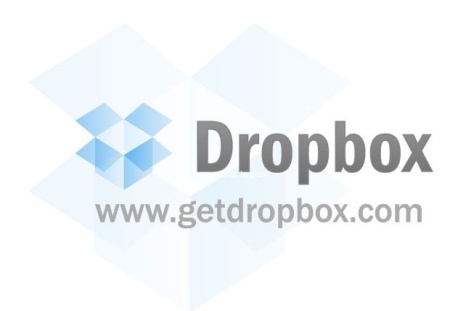 You will be guided through how to setup Dropbox account if you are first time using it. To access Dropbox folder, just click on Dropbox icon located at system tray. By default, there are 2 folders created under My Dropbox folders, namely Photos and Public. However, you are allowed to create any folder as you like under My Dropbox folder. In order to synchronize files, just copy files to My Dropbox folder or sub folders, then it is able to synchronize all files under My Dropbox and sub folders to server as well as other computers which has linked to Dropbox account just within few seconds. The Green checkmarks appear on top of the files will indicate if they are all in sync and up to date. One of the powerful features that worth to be mentioned here is it is able to keep track of every change you have made to the file, then only transfers the small piece instead of whole chunk of files at the same time to the server as well as other computers. This is important to speed up the synchronization process especially when the file size is huge. Besides synchronizing, you can view/edit/download/delete/undelete files from Dropbox web server even if you are not having your personal computer with you. Share files or photos to your friends is another great feature offered by Dropbox. If your friends are already a member of Dropbox, copy the file to share folder so that they are allowed to add/edit/delete the files. Moreover, Dropbox allows you to share files or photos to non-Dropbox users too. Just drop the file in public folder and any files resided in the folder will be given a public link. Copy the public link and send via emails, IMs, blogs and etc to share to your friends. In summary, Dropbox provides the ultimate solution to synchronize data across multiple computer, backup and share your file online. It also lets you access the file anywhere at any time and share them to your friends easily. Download and install Dropbox (aff).